Make a group booking at Harajuku Gyoza. 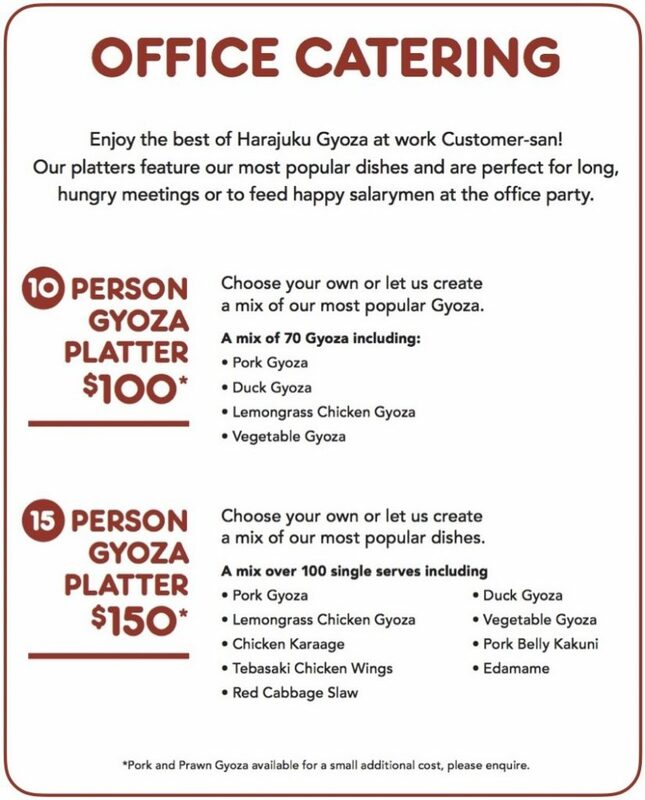 If you would like to make a group booking at Harajuku Gyoza, please go to the Find Us page and make an enquiry at the store you wish your group to dine at. We also do yum catering for functions and parties. 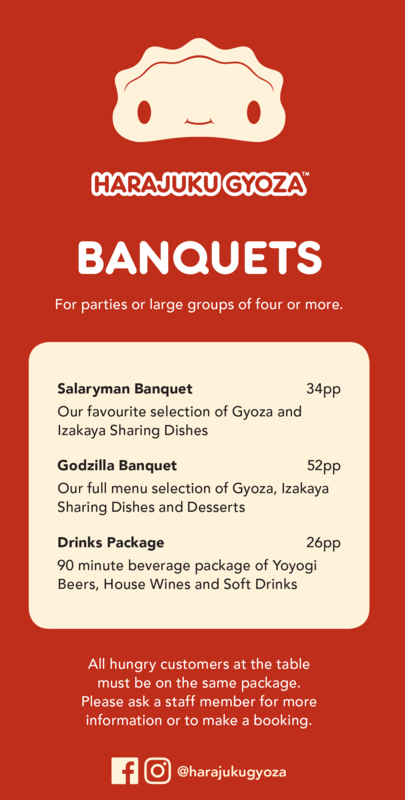 If you would like Harajuku Gyoza to cater for your function, meeting or party, email your request to admin@harajukugyoza.com and we will do our very best to help you. 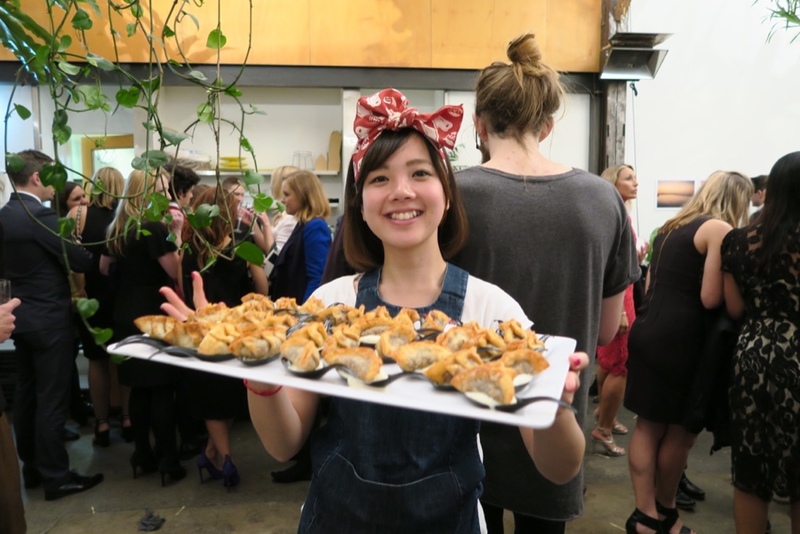 We can provide food, delivered to your event or we can also provide our happy Harajuku Gyoza staff to serve as well.